The US$2 billion pledged by donors on 30 October to support Burundi’s development sounds like a ringing endorsement of the central African country’s progress from civil war to peace and democracy. But memories are still fresh of the 1993-2005 conflict that killed more than 200,000 people, and analysts, human rights experts, and civil society and political opposition members - while they agree significant gains have been made - worry about a range of security and governance issues that could derail them ahead of the 2015 elections. In the eight years since the war’s conclusion, Burundi has held two multi-party elections, seen rebel groups transform into political parties, and developed a vibrant civil society and a relatively free press. Schools and health centres are open. Civil servants get paid. “The normalization of political life has been a remarkable achievement in Burundi,” Rosine Sori-Coulibaly, UN Resident Coordinator and Deputy Special Representative of the Secretary-General in Burundi, was quoted as saying in a statement about the pledges from donor conference in Geneva. “Burundi is now out of the post-conflict period and is truly committed to the path of development,” the country’s president, Pierre Nkurunziza, said at the gathering. But in the capital, Bujumbura, many tell a different story. The most serious concern, one openly shared by the country’s international partners, is the spate of reports - flatly denied by the government - that elements within the security forces are killing individuals because of their affiliation with opposition parties, especially the Forces National de Liberation (FNL). “In 2011, there were 78 extrajudicial killings,” Pierre-Claver Mbonimpa, who chairs the Association for the Protection of Human and Prisoners’ Rights, told IRIN. “In 2012, so far, we have counted 15 people who were extrajudicially executed. [But] you can’t say things are getting better because fewer people are being killed. For us, we need zero,” he said. “How can we make this democracy work if we can kill someone for his ideas?” asked Pacifique Nininahazwe, chairman of the Forum for Strengthening Civil Society, a group of 146 organizations. “The Burundian government has repeatedly promised to put an end to human rights violations, but there is a gulf between the rhetoric and the reality,” said HRW Africa director Daniel Bekele. 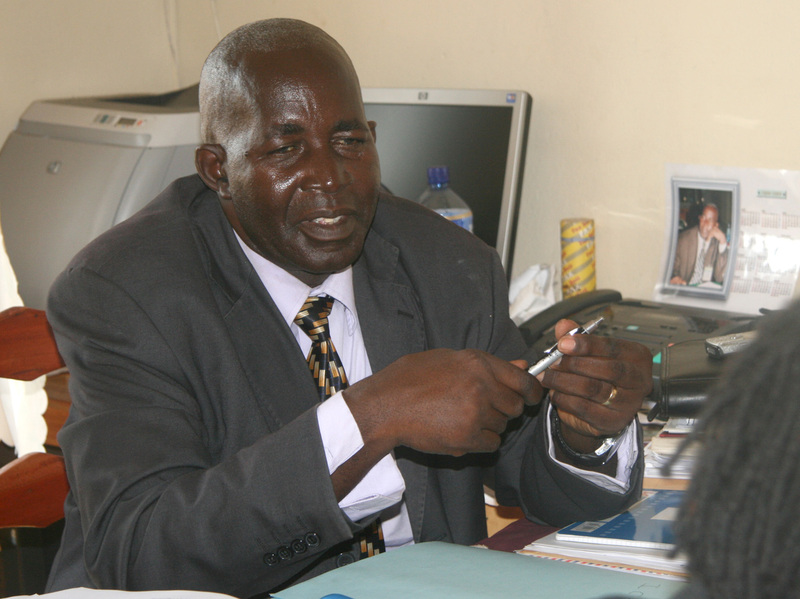 For rights activist Mbonimpa, the killings are symptomatic of a much wider problem. “I would say that all of the problems Burundi has faced over the years are related to our system of justice. The judges aren’t there to deliver the law; these days they are there to execute the orders of their superiors, the executive power. While our constitution provides for [separate] executive, legislative and judicial powers, the judiciary has been incorporated into the executive… A judge should be above the police, but now it is the police that give orders to judges. The result is impunity,” he said. This impunity, according to several sources, extends to the ruling party’s youth wing, Imbonerakure (the Kirundi word for “those that see far”), which has been implicated in attacks on and intimidation of opposition party supporters. It has also been accused of working as an unconstitutional extension of state security forces. “We’ve heard that in the countryside they go about armed. If they are arrested, there is no follow-up in the courts,” said Nininahazwe. He added that during a televised September ruling party rally in the town of Cibitoke, Imbonerakure youths marched in uniform in the presence of the Minister of Interior. “That is serious because they are demobilized former rebels coming back to a kind of military life,” he said. The militarization of the ruling party’s youth wing “poisons the climate because these youths who sow terror do so with the support of the government, the ruling party, the police,” he said. “Perhaps they are afraid of the 2015 elections, because they [opposition parties] have no members,” he said. “The role of Imbonerakure is the same as that of other Burundians. All Burundians are asked to contribute to keep the peace,” he told IRIN. “For example if you see a thief in your neighbour’s house, are you really going to let him escape? No! The least you can do is turn him in or call the police to arrest this criminal, this thief. That’s what we do, like all Burundians,” he said. “But we don’t punish, or exact justice. We are against that,” he added. Pending bills would introduce new limits to the freedom of the press, authorize local officials to ban or interrupt meetings if public order is deemed to be threatened, and require organizations to seek approval from government ministers in order to form. Opposition parties are not represented in parliament because of a boycott of legislative elections in 2010. Steps to get that process back on track, the report said, included: renouncing political violence; initiating inclusive dialogue between the government and opposition; creating conditions for the safe return of exiled opposition leaders; strengthening political pluralism; revisiting the draft legislation on media and political freedoms; and drawing up, by consensus, a roadmap for election preparations, including an assurance that the election commission represents all political players.